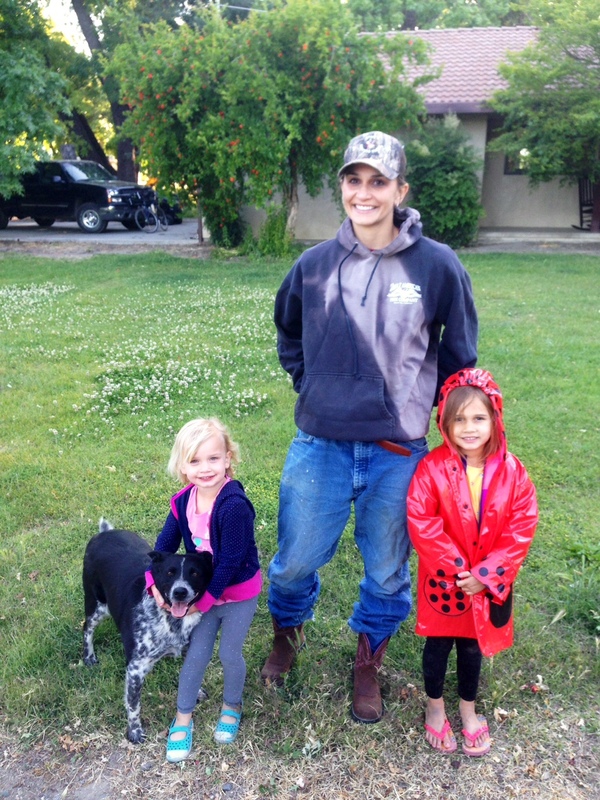 adventures – raising cows. farming walnuts. growing kids. Well my adventures to life on the ranch continue and after close to nine years of living here I think I’ve finally embraced and accepted what life here means and how I needed to step up and hold my own. Over the last month we’ve added a few more animals to our family (two baby dwarf goats and a kitten — but that’s another post) and I have accepted a seasonal job from my brother-in-law irrigating his 45 acre walnut orchard. Needless to say there has been a definite learning curve. Have you ever tried changing a sprinkler pipe while there is water shooting out of it? Or tried to cut off a portion of pipe that had been chewed by squirrels to splice together while the water is running? I hadn’t either. And for how easy my husband and brother-in-law make it look, it’s not. I usually come home from his orchard soaking wet, muddy, and looking pretty ridiculous. But I do always return with the coolest sense of confidence and accomplishment for fixing sprinklers by myself or cutting pipe and managing to splice it back together. Yes, there have been moments where I’ve screamed (more like cursed) in frustration, have even yelled out, “All right, God, I’m humbled here. A little help, please” and have even had mini victory dance parties when I’ve done something right. 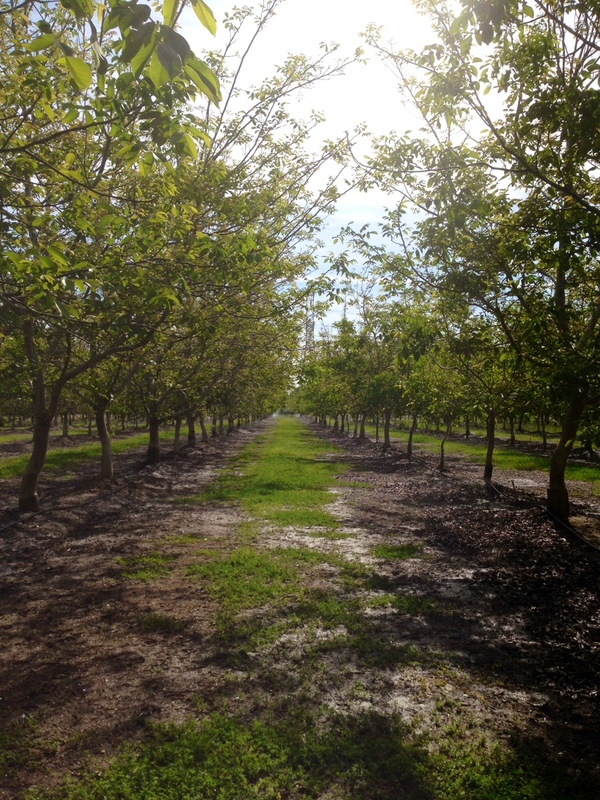 When the weather gets hotter this is going to be a dream job – driving under the shady canopy of the walnut trees, feeling the cool spray from the sprinklers as we zip down the rows looking for dry spots, broken sprinklers, or fountains of water spraying up that need to be fixed. What I love is that this is something I can do with my daughters – they love going for rides in the Ranger already, then add water and mud and they are in heaven. Plus, they are going to learn early on how to fix sprinklers and irrigate sprinklers for us — gotta start training the next generation young, right? Last week was on the cooler side though and checking sprinklers with the lovely North wind our area is known for was not my idea of a fun Saturday night. I had decided to wear black workout capris, flip-flops, and a tee-shirt. That was the last time I will dress like that. I learned an important lesson about footwear that night: flip-flops tend to get stuck in the mud and break when you have to walk through a ton of mud to reach the sprinkler that has been already running for 12+ hours. My ever patient husband looked at me and said, “Now, do you know why I dress like I do when I go to the orchard?” He then proceeded to throw a pair of his wranglers at me — mind you he is 6’4 to my 5’9 and weighs probably 65 pounds more than I do. We made the pants work with one of his belts, threw on his sweatshirt, a camo hat and my boots that I hadn’t been wanting to wear because I didn’t want them to get dirty (they are now so dirty they have to sit on the front porch so the mud can dry) and headed back out so he could give me a little tutorial. And as much as I hate admitting I was wrong; I totally was. It was so much easier in boots and I wasn’t as cold in real pants. I think a stop at Tractor Supply is on my to-do list so I can invest in some real work pants. Not nearly as exciting as a trip to Macy’s for a new pair of jeans, but the work pants will help pay for my new jeans in the fall — think that’s a pretty good way to look at it. I can admit that this girl definitely shed a tear and squeezed his hand a little bit tighter that evening.